The sun is out and shining upon the countryside these days calling our riders out to enjoy everything they can! We had some more good times this weekend, with some good club rides and some travels further afield for racing too. First up, our usual club runs on Saturday and Sunday went extremely well, with plenty of time spinning along chatting before winding it up for a bit of intensity near the end for those that wanted to see if their bikes could still go fast. 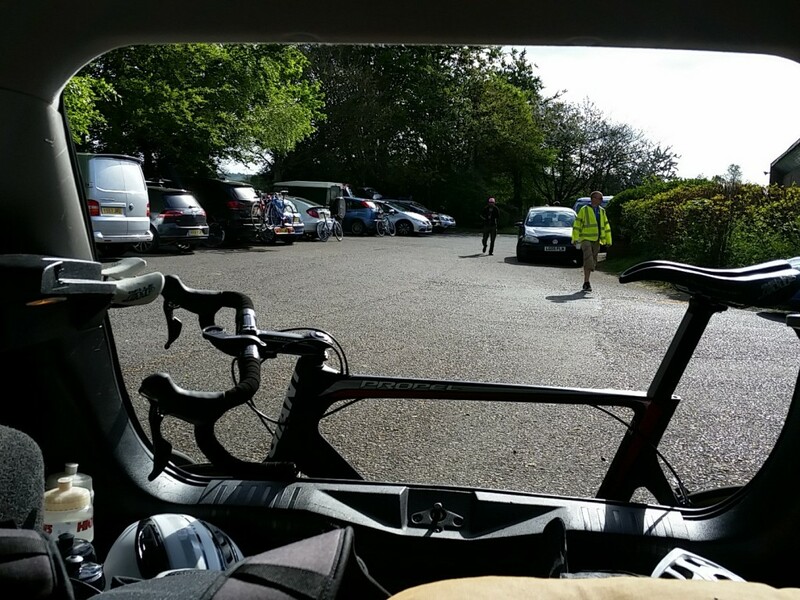 Sunday was marred by a crash going up Cumnor Hill, not quite sure how he managed that, but we wish Joe Kang a speedy recovery! 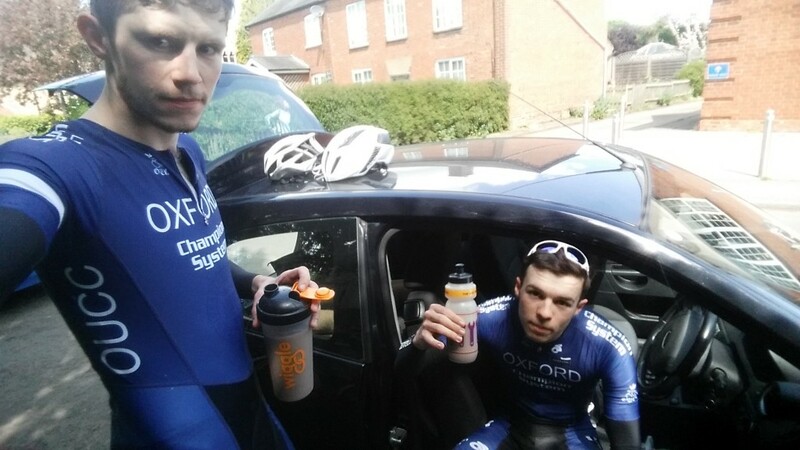 On the racing side, James Lambton and Angus Fisk went off on some adventures around the countryside. 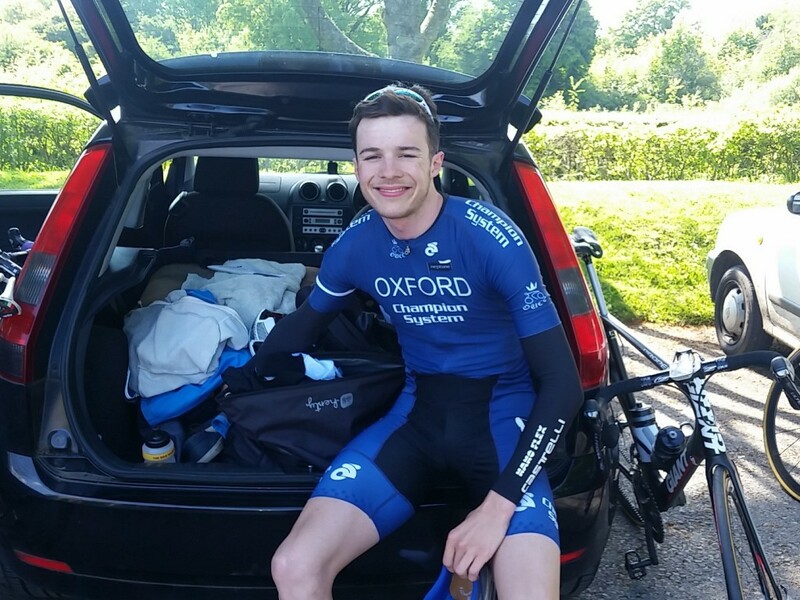 James took 4th in one of the road races with a powerful attack leaving the bunch in his dust, report below! Next weekend we will be sending some riders up to the Banbury Star Road Race including Edge Hill, as well as some more club rides for social, development, and squad riders as well. Get in touch for more details! Until then, enjoy riding! Another weekend, another (two) race(s). Saturday saw Agnes and I head down South to hillier territory for the Tour of the Milburys, a popular one day stage race consisting of a 6km TT (hill climb) in the morning, followed by a ?km (it turned out we knew how long it was supposed to be, but the organisers didnâ€™t) road stage in the afternoon. Previous analysis of the course had revealed that, once again, there would not be an inch of flat road, although in comparison to Bec the previous weekend it was about as flat as a punctured tub. Once the numbers turned up, only 20 mins before my start time, I signed on, did the worst warmup ever (actually 2nd worst, closely beaten by the TTT) and headed off to the start. It was cold. It was uphill. There was a headwind. Needless to say, I went slowly in the TT. And then got lost on the way back to HQ. Agnes set off about an hour later, going almost exactly as slowly as I did, although, having spent 4 hours in the car over the course of the weekend listening to him coughing up his lungs, I can confirm that it was a commendable performance. Then, we sat in the sun for 3 hours, and ate some cookies. Final results for the stage put myself in 32nd and Agnes in 37th, approximately 1 minute off the leader, although with plenty of time bonuses available all was still to play for. After a fairly long time, we finally rolled out for the road stage. The race got off to a steady start, with several riders going up the road early on. Agnes and I chilled in the bunch. We rode uphill, we rode downhill. It was caj. We went round for several laps, with not much really happening, except eventual winner Joe Harris of Spirit Bikes going up the road with a rider from Neon Velo, and myself capturing a rare view of the centre of the earth, as I plummeted several miles into a pothole before somehow emerging unscathed. Coming into the penultimate lap, I was feeling pretty good. All this time, riders had somehow been sneaking out the back without anybody giving chase, so the bunch was now down to about 30. I was planning a move to bridge up to the break, which had been brought back to just 20 seconds at this point, however the organisers decided that they couldnâ€™t bear watching the suffering any more, so rang the bell. I knew that it was now or never, and put in a big dig up the first climb of the lap. I got a gap, and with the amazing help of Agnes disrupting the chase effort, managed to hold on until the line to take 4th on the stage (mustâ€™ve been the cookie at lunch). 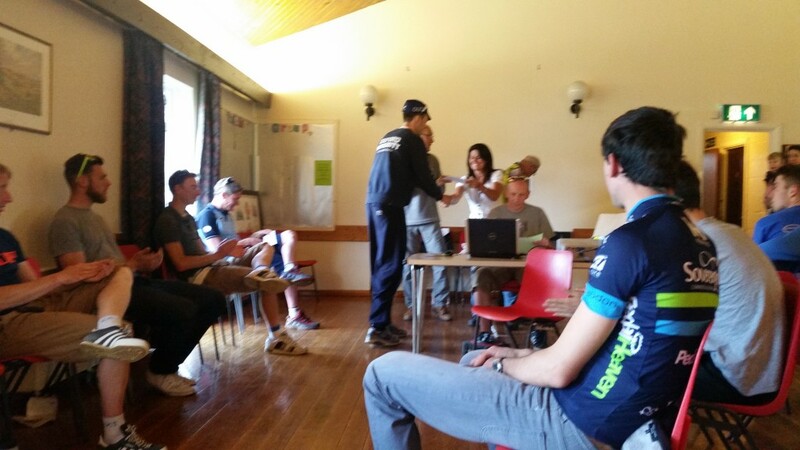 Agnes rolled in 16th, which was a top effort given his condition, on a hard course. GC results eventually came in; I finished 11th, and Agnes 22nd, another strong showing from OUCC in what was a quality field. Sunday promised to be a much easier affair; ?km (this time neither we nor the organisers knew how long the race was) around the flat roads outside Milton Keynes. We arrived in plenty of time, signed on, and then spent about an hour sitting in the car outside the HQ, observing the latest trend in horrible kit colour choice. We finally rolled out, and then ensued one of the most boring races I have ever done. For 2 hours, both Agnes and I sat in the bunch watching an 78up TTT. The biggest gap anybody would get on the bunch was about 50m, before 78 riders decided that this might be the moment where they lost the race, and simultaneously chased down the attempt at a break. This resulted in an average speed of nearly 44kph for the race, which would normally be considered quite hard, however, due to the nature of the course (it was about half as interesting as Dalton Barracks), it was again pretty caj. There was a lot of shouting. And a lot of riding around blind corners on the wrong side of the road. The only event of note occurred at the end of the 2nd lap, when Agnes put in an excellent sprint for the prime, only to be just pipped at the line. Coming into the sprint, everyone was just waiting for it to happen. The finish was slightly uphill, into a headwind. Having spent the last 2 hours drilling it, everyone sat up 500m from the line, resulting in the bunch riding 6 abreast at 30kph. Then somebody in the middle realised they were out of position, and attempted to ride straight through somebody else, which lead to a fairly typical bunch sprint pile up. Agnes managed to get through, however was hindered by the crash, so came in around 20th. I came about as close to crashing as I could have done without actually crashing, somehow managing to unclip and stay upright whilst everyone around me decided to lie down. It was a fairly fitting end to the race. All in all, it was a good waste of a day. Except, back at HQ, the guy parked next to us managed to drop his car keys down a drain, that was pretty jokes.